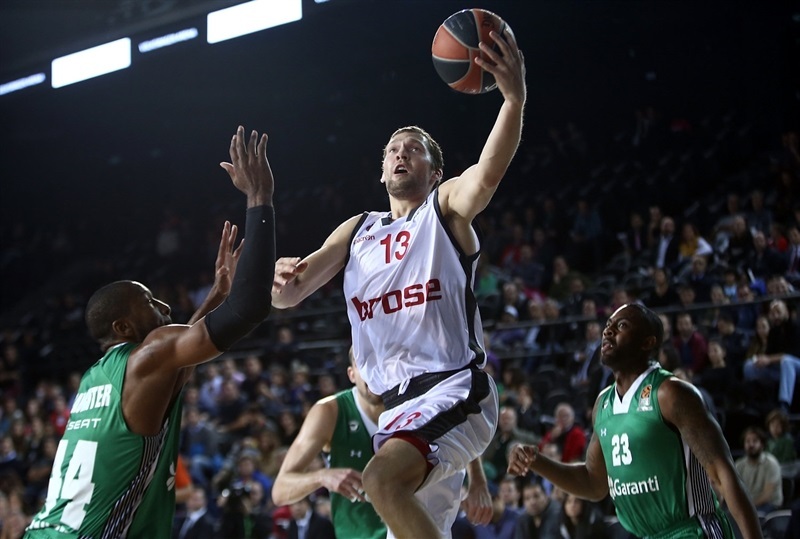 Darussafaka Dogus Istanbul held on to edge Brose Bamberg 72-70 on Thursday at Volkswagen Arena. 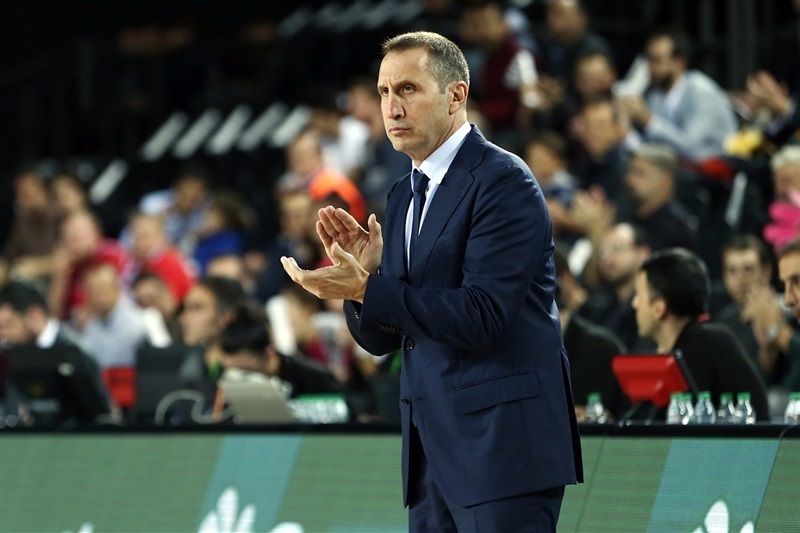 The result marked Darussafaka’s first win at home as Coach David Blatt’s team improved to 4-2 overall, while Bamberg fell to 2-4 with all of its losses coming by 4 points or less. 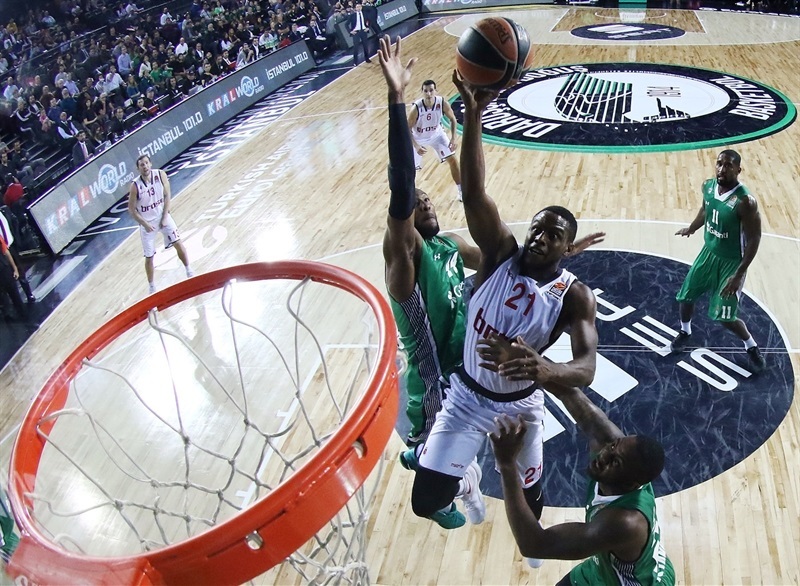 Will Clyburn led the home team attack with 17 points, Dairis Bertans scored 15 on 3-of-5 three-point shooting, Adrien Moerman collected 11 points and 9 rebounds and Brad Wanamaker tallied 11 points and 5 assists, including what proved to be the game-winning basked in the final minute. 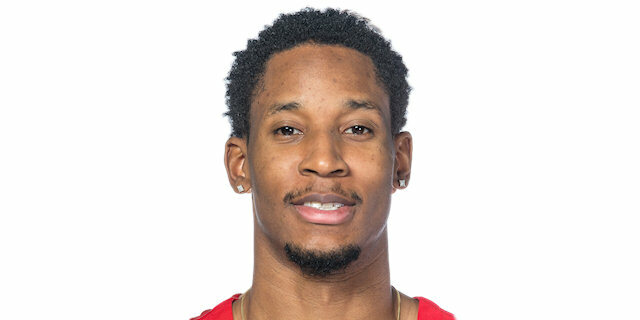 Janis Strelnieks paced Bamberg with 14 points, Daniel Their scored 13, Darius Miller 12 and Nicolo Melli accounted for 10 points and 10 rebounds, but missed the final shot that could have forced overtime. Clyburn scored 7 points in the first five minutes to give the hosts an 11-7 edge. 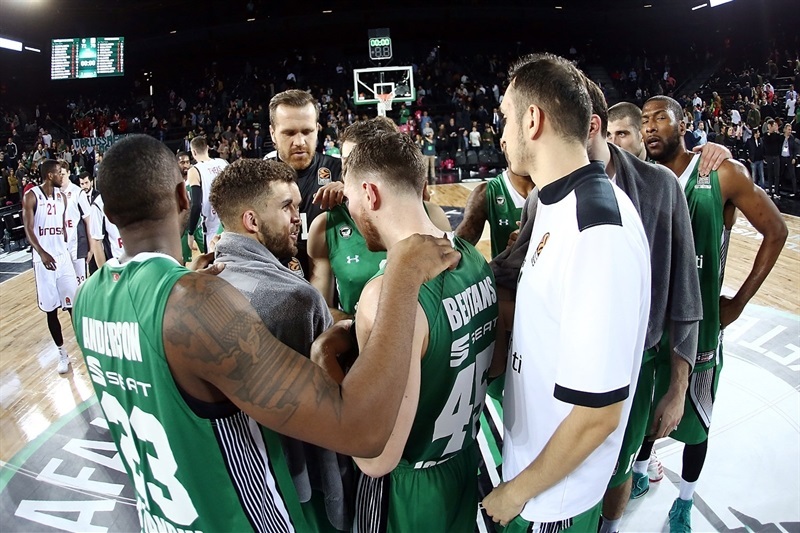 Bertans became the fifth Darussafaka player with a three in the first quarter and Marcus Slaughter added a free throw to make it an 8-point game, but Bamberg closed to 23-17 after 10 minutes. 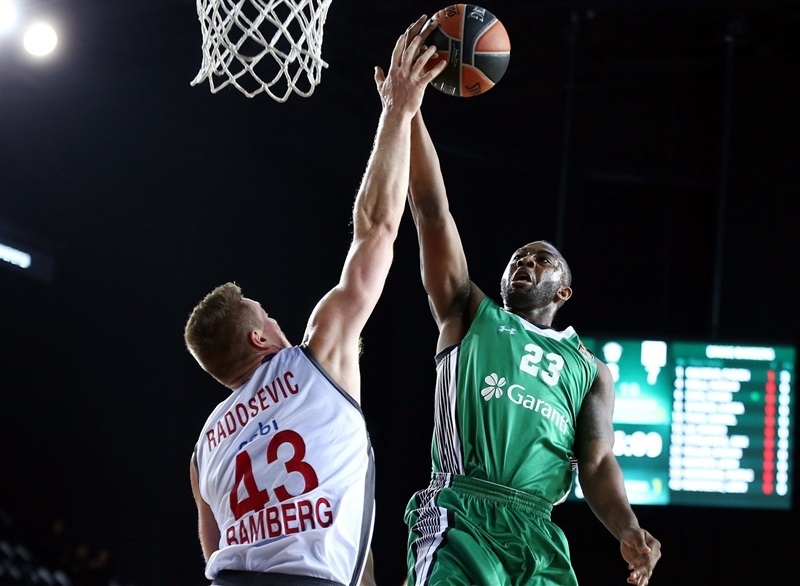 The hosts push the lead to 8 again, but Darius Miller and Nicolo Melli helped the visitors rally again and a Nikos Zisis triple put Bamberg briefly ahead, 37-38. The score was even, 40-40, at the break. 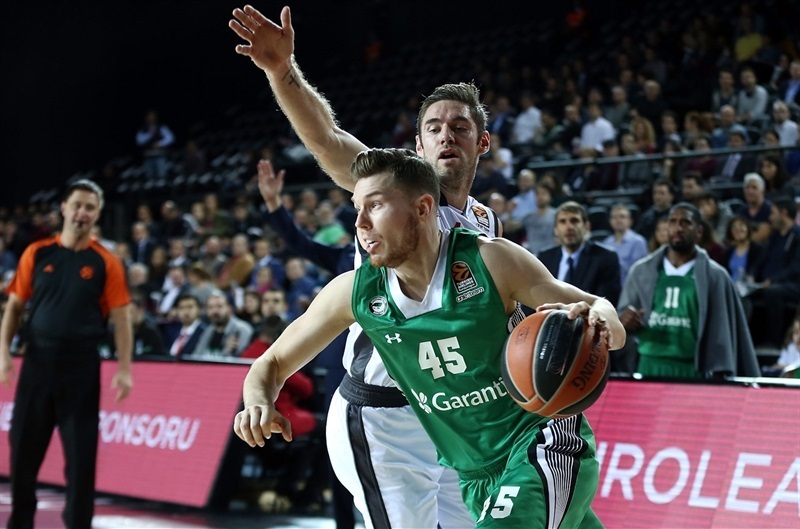 Fabien Causeur scored the first 3 points of the second half, but a four-point play by Bertans and a Moerman triple put Darussafaka back in control. 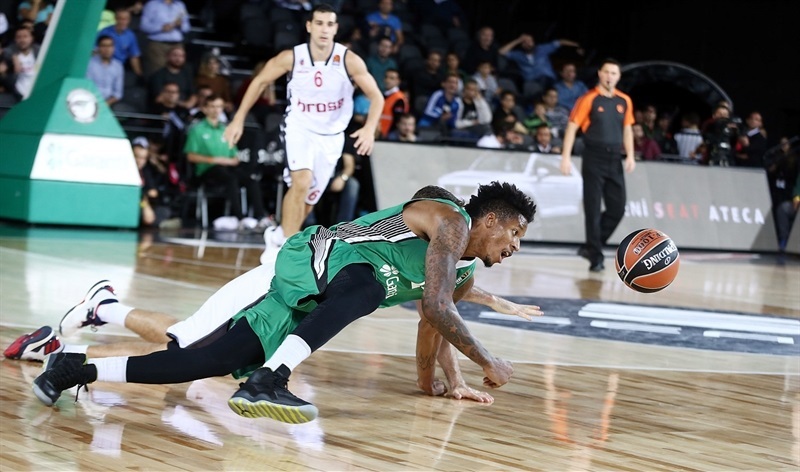 Clyburn capped a 15-3 Darussafaka run with a jumper that made it 55-46. 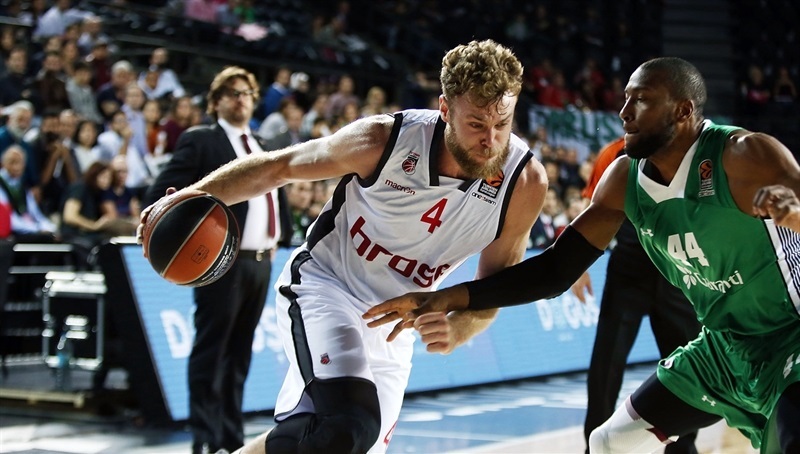 Bertans stretched the lead to double figures with a three-pointer that ended the third quarter at 60-50. Lucca Staiger and Daniel Theis hit back-to-back threes in a 0-8 run to open the fourth quarter. 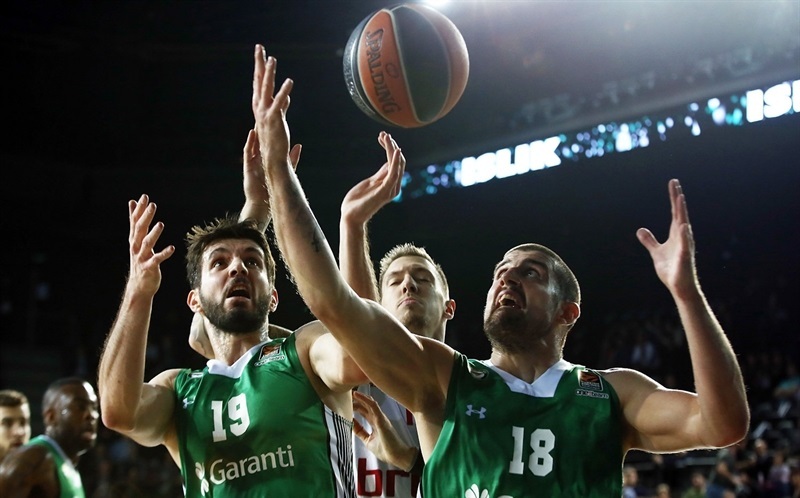 Darussafaka regained its composure to keep the lead, but it remained close. Strelnieks free throws tied the game with two minutes remaining. 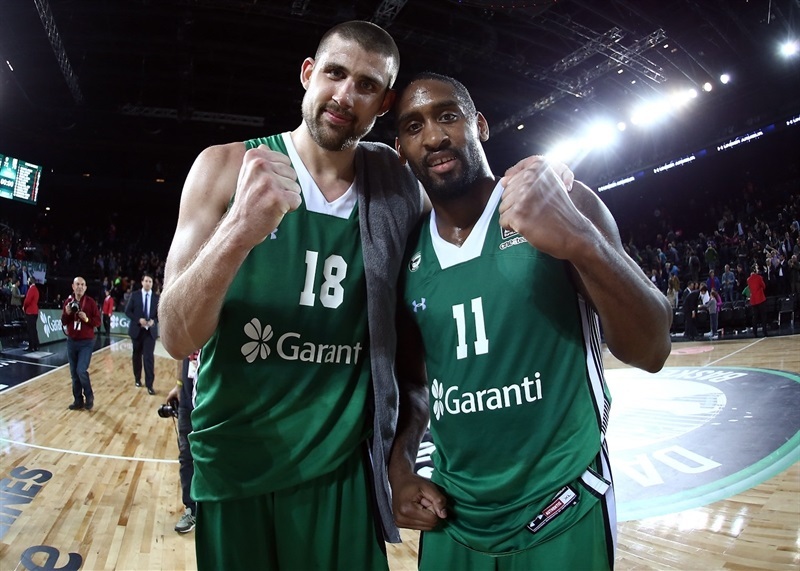 Wanamaker made a tough jumper with 30 seconds left to give hosts the lead and Melli missed a tough jumper at the other end and Clyburn clutched the rebound to secure a Darussafaka win. 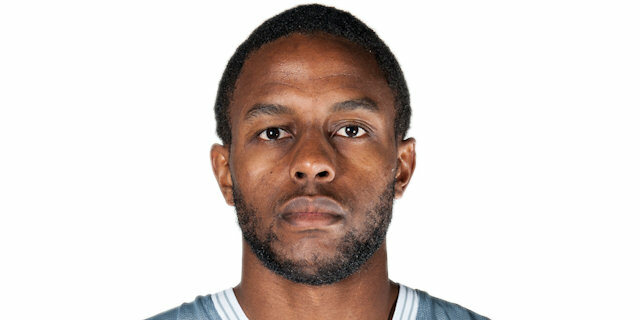 "I want to thank the people that came to the game tonight. Our fans are growing and are showing right now that they are few, but mighty. Our players and our organization are working very hard to build a program that people can enjoy and be proud of and I think we’re making real progress in that area; It’s a big part of what we’re trying to do this year. Every play in a game is important because they all count. 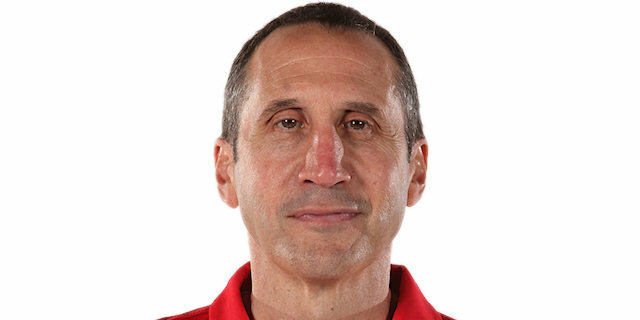 You remember the big plays that are made at the end because obviously they may determine the outcome, but I thought we played a really good and solid game against a quality team. And we made a few more plays at the end that gave us the ability to win the game. You make a shot or you miss a shot, that’s what everyone remembers. Bradley [Wanamaker] made the game-winning shot tonight. Great shot, huge shot. The team played well and that’s the important thing. The more important thing is that we made the defensive stop. " 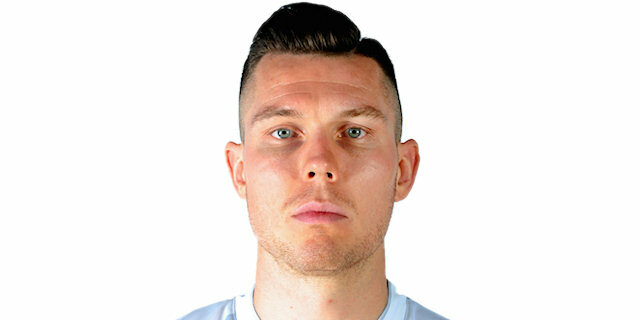 "Such small things made the difference between us being 4-2 and 6-0. A couple of better plays at the end of two games and we could have won both of those games. On the other hand, you could say the same thing the other way around. That’s the way the EuroLeague is this year. 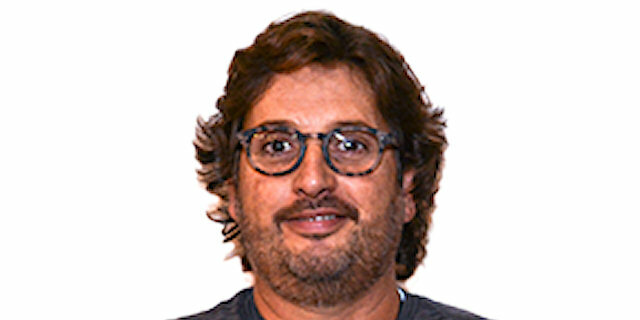 I’m very happy that today we were able to get a very big stop at the end of the game… With so little time to prepare, you really have to work on the mental and emotional aspect, to pick the team up from a very, very tough loss to a great team just the other day. Guys just gotta come to play and I thought we did. " "We managed to have the right read sin the last four offensive possessions. 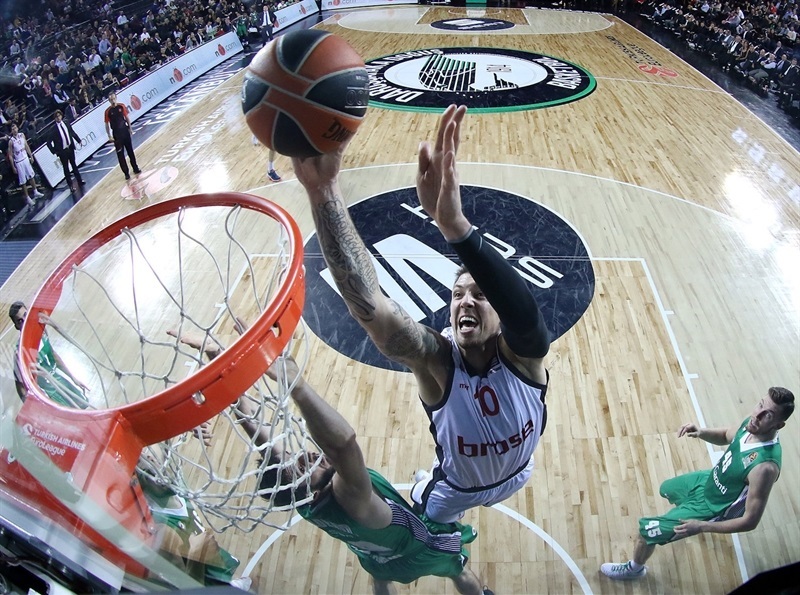 We were able to stop Darussafaka, but we were not able to convert our stops. And that cost us the game. Another thing that cost us the game was a lock of consistency in some plays and we didn’t execute well on offense. Still we had a chance to win the game. This is a good thing. And we managed to come back from down 10. 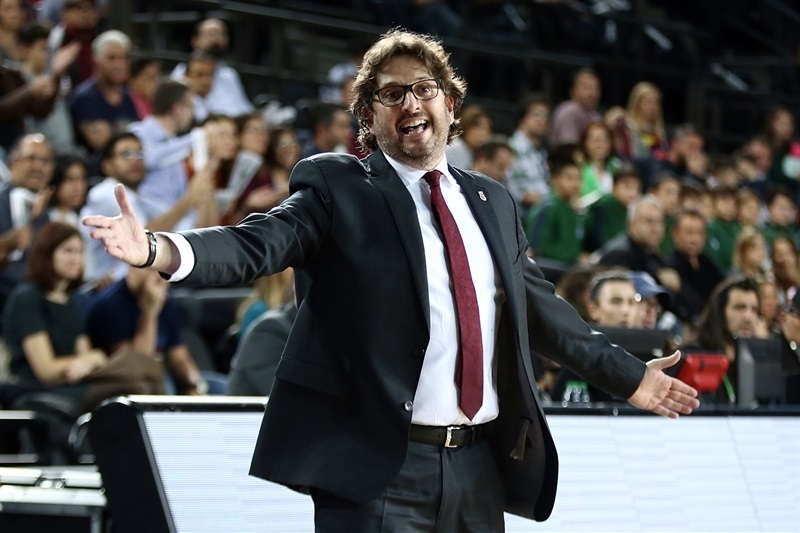 On the road it’s never easy in the EuroLeague. " "It’s finally nice to get the first home win. I can’t say we’ve been struggling at home, but we lost some close games and finally we got the pressure off. I hope from now on we’e just going to win those close games at home. We have to use our home-court advantage. About the game, we came out really strong in third quarter and that is when we made that decisive run; we let them score only 10 points, which is great. I think that is what decided the game. Obviously in the end it could have gone either way, but finally this time we were lucky to get that win. " "It was a good game. We’re glad we could get one at home for our fans, finally! We have been struggling at home getting wins and closing out games, so it was good to get this. This is a team, so it might be my half is the first half and someone else it the second half. 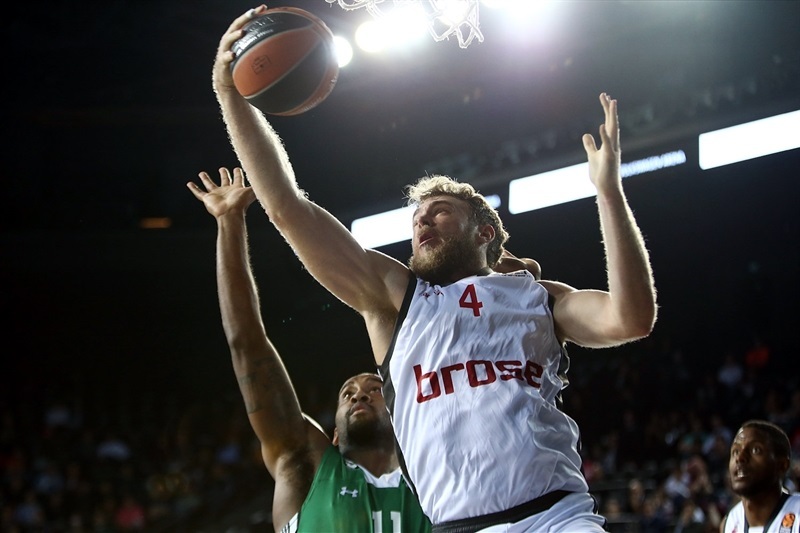 Dairis [Bertans] came in and gave us a lot, so It helps to have teammates. " "We just gotta close out the game better. We had multiple opportunities to win. They just played better at the end, in the last couple of minutes. We just gotta get better at closing out games, I think. "